Pay-per-click advertising’s a great way to help increase business and grow your online presence. DMG’s seen great results using PPC for clients spanning a number of different verticals for over two decades, including AdWords for lawyers. 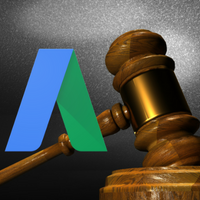 As many know, the legal vertical in AdWords can be fiercely competitive. The fight for new leads in the legal space has always been tough, and that’s carried over into the digital realm as well. 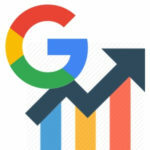 Our (friendly) competitors over at Wordstream recently published some benchmark AdWords metrics for each industry that really hammers home this notion with solid evidence. The cold hard truth: the legal industry has the highest average cost per click at $6.75 and an alarmingly high $86.02 average cost per conversion. So, how do I compete in AdWords for lawyers? Well, the more well-known principles of PPC optimization certainly hold true, and they shouldn’t be neglected (nor should they ever!). An experienced, forward-thinking, certified AdWords Professional should be making necessary adjustments on a daily (or near daily) basis, no matter what. But let’s touch on a few specific, less obvious strategies for law firm PPC. Strategies that, when added to a rigorous, strategic optimization plan, can really help increase ROI for law firms running on AdWords. Things that can help to gain a competitive edge in the legal advertising space. It’s easy to create the hierarchy of your campaigns and ad groups based off of given areas of practice that your law firm handles. It makes perfect sense that, especially starting out, you would structure your account that way (in fact, that’s how we start out, too). The problem: the ability to optimize for user intent is limited, at best. The most you’ll be able to do is break out different ad groups, which is somewhat limiting. Why? The former is probably ready right now to call a car accident attorney; the need is immediate. The latter? Probably weighing options as to whether or not they should pay to hire a car accident attorney. Or, maybe they’ve been the cause of a fender bender, in which case they’d need a traffic attorney, and not a personal injury attorney. Should you bid on both phrases? Yes. Should you pay the same? No. Then, break out your most profitable keywords into new campaigns. Why? There’s a lot more versatility at the campaign level than there is at the ad group level. You’ll probably want to manage average-to-lesser performing keywords manually. Or, possibly by using some type of enhanced bidding, or perhaps even using target CPA. Testing those types of bid strategies on your top performing keywords can really help lower cost per acquisition in AdWords. We’ve also found that budget comes into play relatively quickly. This is because of the exorbitant costs of law firm keywords. Unfortunately, having high, moderate, and low performing keywords all share a given budget can sometimes “choke” the performance of the top performers. This is because lesser performing keywords can chew into the budget at a rate so quickly that it limits better performing keywords. If, for example, the daily budget is $100, you don’t want $80 out of the $100 going to sub-optimal keywords, especially if your top-converting keyword costs $50. You don’t want to limit your best keywords… let them run wild in a separate campaign with a separate budget and more appropriate bid strategy. Don’t Forget About Phrase Match Keywords Altogether! Side note: don’t forget about phrase match keyword types for lawyers. I know, they can generate a lot of wasted spend on irrelevant search terms (bad!). In a competitive market such as PPC for lawyers, wasted spend increases overall CPA. Naturally, that’ll reflect poorly on campaign performance. This is what ultimately scares PPC agencies or in-house legal marketing teams away from phrase match. 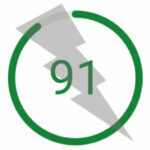 You could spend hours upon hours each week optimizing AdWords for lawyers (and you should!). But sometimes you’ve got to get a little creative with your campaigns. Granted, the best legal PPC leads are going to come from immediately within the geographic area that the attorney is located / services. That’s a no brainer. Advertise in your geographic area. Note: To that point, we generally prefer campaigns geographically set to ‘People in your targeted locations,’ effectively ignoring the ‘who show interest in your location’ audience (generally speaking). Sometimes, people need a lawyer outside of where they live or outside of where they are searching from. Someone with a court date for a car accident in NYC that happened while traveling for work would probably want a lawyer local to NYC, even though they may live in PA. Even though they’d be searching for an NYC-based lawyer, it’s likely that they’d be searching from home, in PA.
It’s also possible that someone living in LA might need an estate attorney for their elder parents who live in Chicago. BUT, they’d be searching for a Chicago attorney from their home in LA. Someone might live in Fort Worth but work in Dallas. If they’re searching for a lawyer while at work, but want one that’s close to home, you’re going to want to show up, even if you don’t service Dallas. Think about the potential advantages here… not many Chicago-based attorneys are targeting ads in LA, which means the competition is probably pretty low for searches like ‘estate attorney chicago’ when the searcher is in California. Additionally, not many NYC lawyers are paying to advertise in PA.
Low competition of course = lower bids, and a chance to target (albeit a few) extra leads per month at a lower than average CPA. To capitalize on this, you’ll want a separate campaign that geotargets areas outside of your typical service area, but that bids on keywords that include your service area. Another strategy to test for law firms is call only ads. We find these to be helpful in a couple of ways. The first is when budget may be a little limited and you’ve got to squeeze the most out of a particular campaign. One way around that is call only ads, where you’re only paying if you get a call (or conversion). The second is by leveraging call only test campaigns, especially with new or “unsure” keywords. These type of keyword ideas usually come from data mining, especially on phrase match keywords (we talked about the role of phrase match keywords for attorneys in the last section). But when it comes time to test out new keywords, sometimes we’ll set up a clever call only campaign, if and when it makes sense. Rationale: while testing out the new keyword, you’re only paying if you get a call. So, no wasted ad spend during the test. what type of lawyer does she need, exactly? is it an assault case? is the person Googling this just tire-kicking or blowing off steam? will the dispute blow over? Most importantly: is she actually ready and willing to call an attorney over this? Without knowing the answer, it’s tough to tell if this would be a good keyword to bid on. Enter… the call only campaign test. 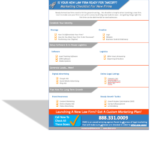 By setting up a call only test, you’ll be able to gather some pretty good data as to whether or not that particular phrase or keyword is profitable for your business. If your firm ends up getting legitimate calls and cases from it, great! You’ve now found a brand new keyword that seems to work. Because it’s not an obvious search phrase, you can bet that it’s probably a little cheaper than most lawyer-related keywords. You can then expand that keyword test into other facets of your PPC marketing in an effort to drive down your law firm CPA in AdWords. Bonus: you should really try to track and measure your calls using a call tracking provider (DMG frequently uses CallTrackingMetrics). Not only will call tracking software allow you to count phone call leads as conversions, but it also shows pretty important metrics such as call duration, etc. Call duration is usually a good indicator as to the quality of the lead. Note: remember, call recording’s a great feature for a lot of businesses that leverage call tracking services, but NOT with law firm leads. Privacy statutes, HIPAA compliance laws, and attorney privilege policies come into play when it comes to law firm calls. We suggest playing it safe and disabling call recording altogether. There’s a lot that can be done on the Google Display Network nowadays. The ad targeting possibilities and combinations can be endless, and getting creative with different display campaigns can actually be a lot of fun for digital marketers. When it comes to display ads for lawyers, though, there are two inherent problems. Google doesn’t want remarketing ads following around users who have fallen on a hardship. Makes sense… someone enduring tough times in need of a lawyer probably doesn’t want to be constantly reminded of their hardship with display ads showing up all across the web. We can appreciate that… but not being able to remarket does make for one less lever to pull with regards to digital marketing. ii.) The buying process for hiring an attorney can (sometimes) be extremely short. Think about it: you can’t target people who might get in a car accident tomorrow. On top of that, when someone does need an accident attorney, they need one now. Subsequently, most people hire a car accident attorney relatively quickly. There isn’t enough time to show display ads to an in-market audience for a few days or weeks in hopes that they convert. Chances are, by the time they see your attorney’s display ad, they’ve already hired someone else. The key with display ads for law firms is trying to identify pre-market behaviors (as opposed to in-market behaviors). For example, someone in the market to buy a house might soon need a real estate attorney. A soft-sell campaign targeting those people can be effective. Creating brand awareness can often lead to either unaided or aided brand recall when it’s time for them to make an offer or close on a house. Unaided recall would be the equivalent of the user going right to your website when they decide they want a real estate attorney. The first is getting creative with your targeting. Identifying pre-market behaviors can be tough and takes time, analysis, and strategic thinking. The second is in the creative approach. A soft sell usually works well here. “Buying A House? Here’s 3 Reasons You May Want An Attorney” is big. Solicitation versus helpful insight, respectively; remember, these people may want an attorney at some point but aren’t actively searching for one. But, because the cost of running display ads is so cheap compared to text ads (especially for lawyers) the opportunity to lower your cost per acquisition is great. These tips should never replace the day-to-day strategy that goes into optimizing law firm AdWords campaigns. But, when implemented properly, we’ve seen great results that help compliment existing campaigns. The bottom line: leveraging some creative thinking that results in a lower cost per acquisition in an incredibly competitive environment. Maximizing ROI by driving down Cost Per Acquisition. What are you doing to maximize ROI for your law firm AdWords campaigns? Have any thoughts on this post? Questions? Want to get more out of your PPC campaigns for lawyers? Let me know in the comments section or contact us directly! Or, follow me on LinkedIn. Thanks for explaining that the process of hiring an injury attorney usually happens quickly because the people who need a lawyer need one now. It makes sense that people don’t really think about needing an injury lawyer until something unexpected happens. It was interesting to learn about how lawyers try to attract customers, so thanks for sharing!